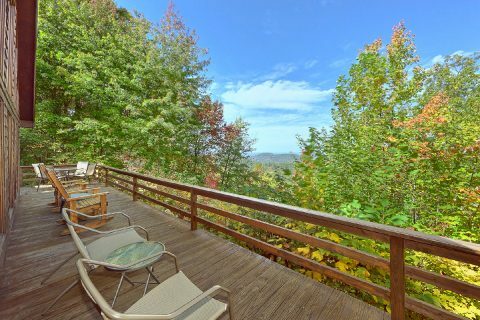 Start planning an excellent Smoky Mountain vacation when you book "Smokeys Dream Views," a secluded cabin that's only 3.9 miles from Dollywood Theme Park in Pigeon Forge, TN! 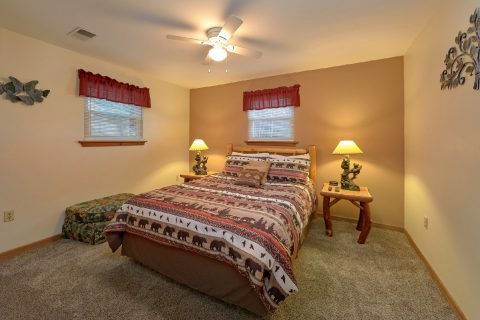 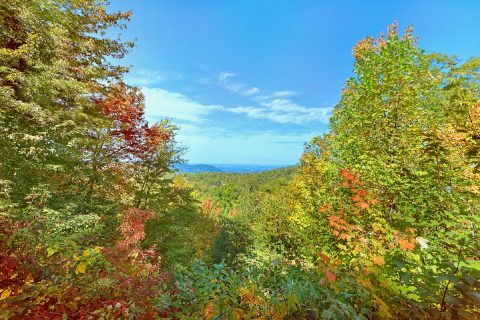 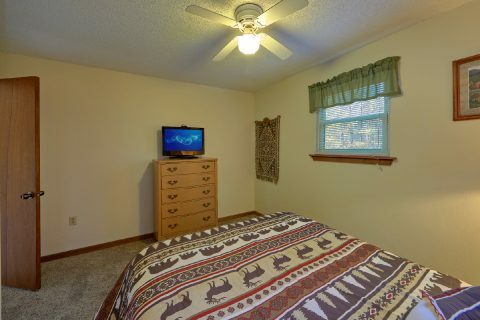 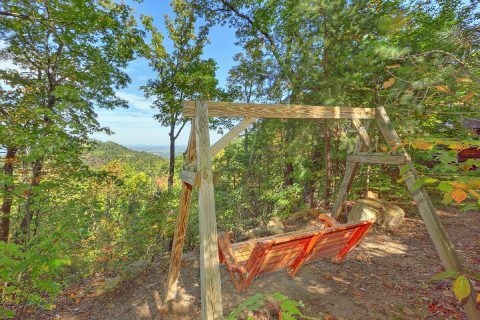 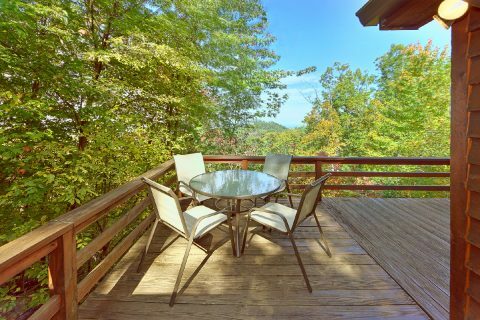 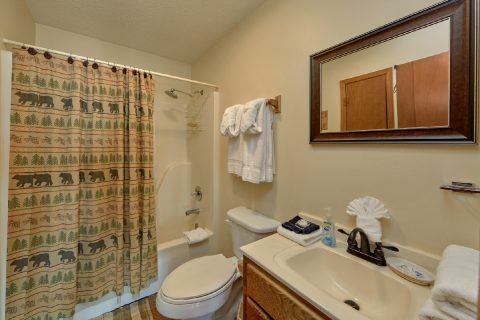 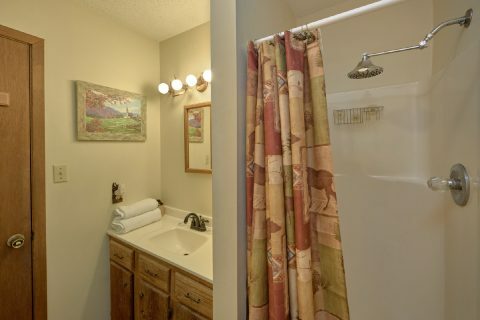 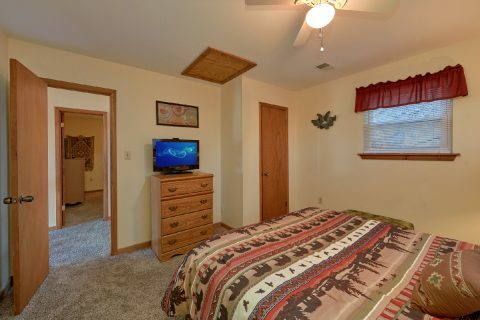 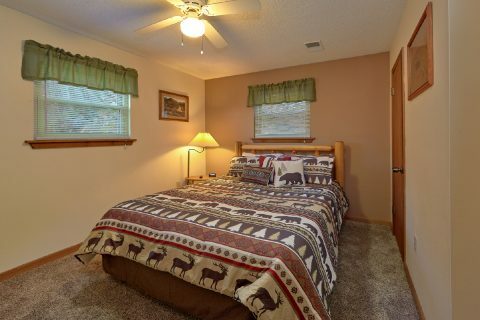 With this cabin's prime location, guests of this rental can easily enjoy top local attractions on the Pigeon Forge Parkway that's only 4.5 miles away. 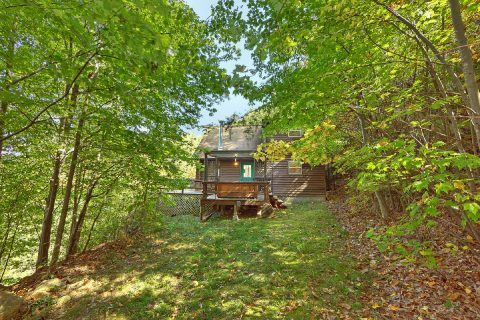 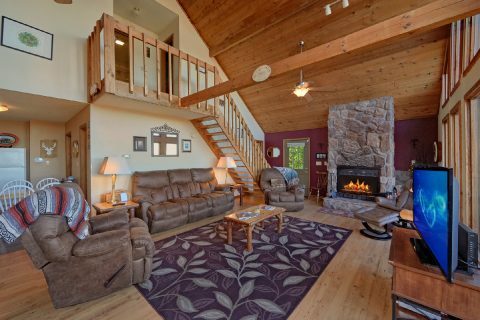 Better yet, this cabin also provides vacationers with a private location with a mountain view, so you can be sure that your getaway is both peaceful and relaxing. 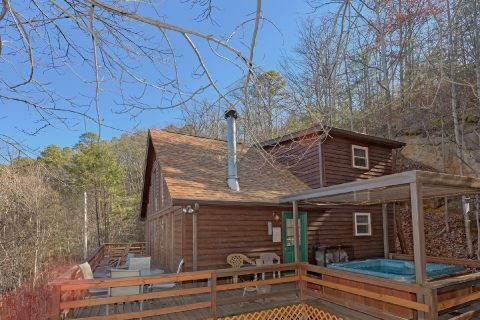 When you aren't busy seeing fun dinner shows in Pigeon Forge or riding roller coasters at Dollywood, you'll love unwinding at this log cabin in the mountains. 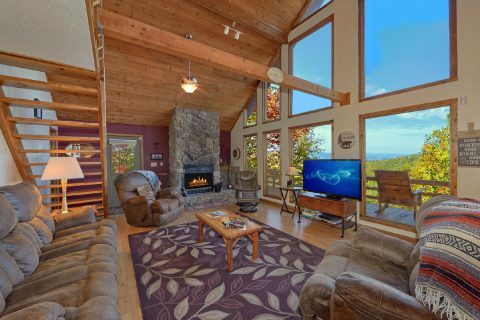 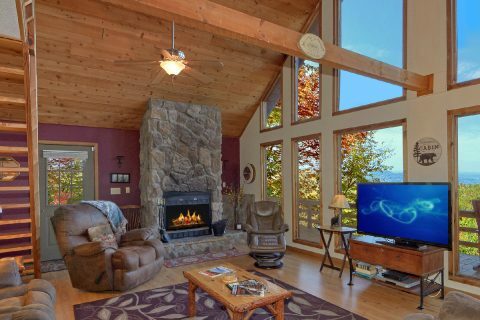 The main level of this rustic-style cabin features a living area complete with a wood-burning fireplace, a large television, and comfortable furnishings. 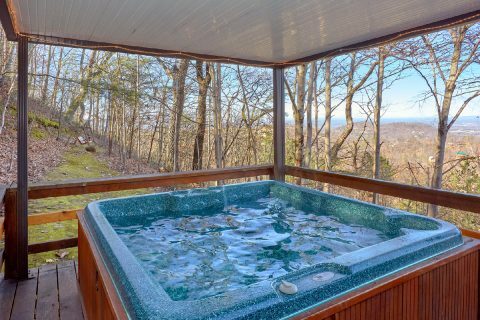 Nearby, you can step outside to your cabin's deck to enjoy the view while you sit back in the bubbling waters of your cabin's hot tub. 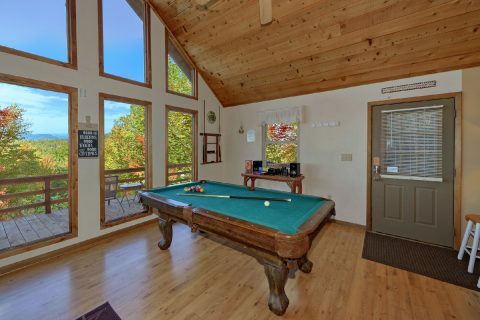 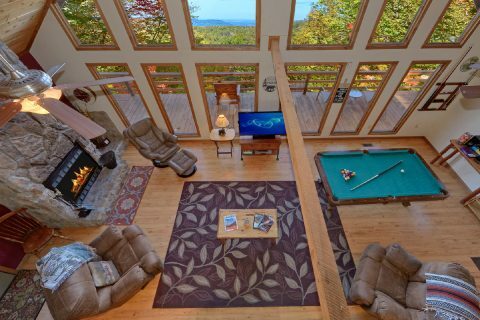 For some in-cabin entertainment, you can always enjoy a fun game of billiards on the pool table near the living room. 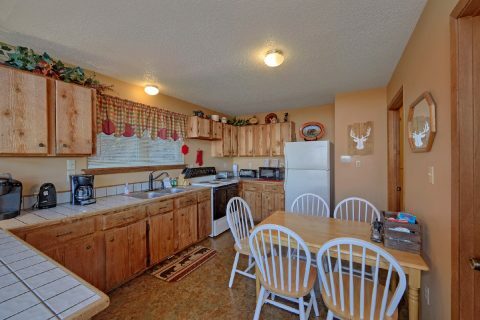 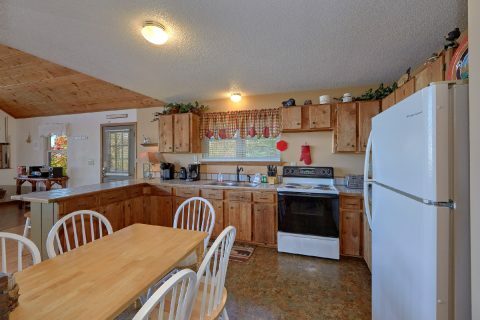 While there are plenty of excellent dining options only a short drive away, your cabin's kitchen gives you the option to cook tasty meals in the comfort of your rental. 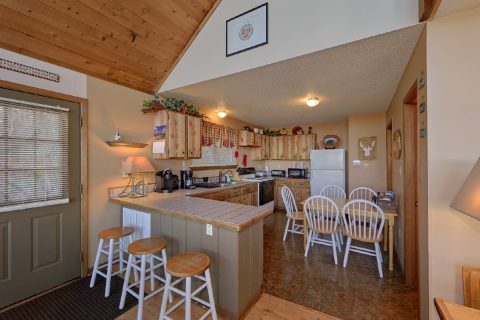 There's also a charcoal grill if you'd like to enjoy some tasty burgers or steaks during your stay. Once you're ready to get some rest, you can look forward to staying in one of this cabin's 3 bedrooms. 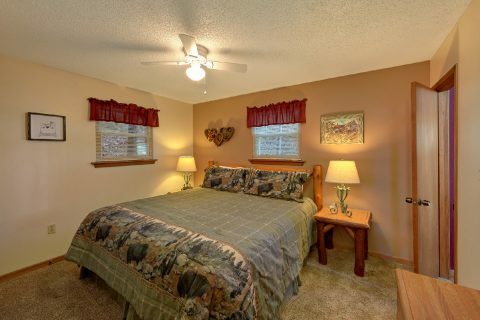 The main level is home to a king-size bedroom with a television and upstairs there are two queen-size bedrooms. 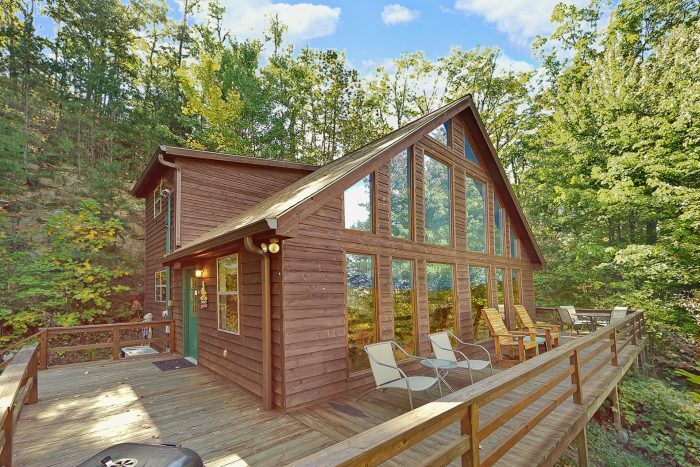 Altogether, this cabin can sleep up to 6 guests comfortably. 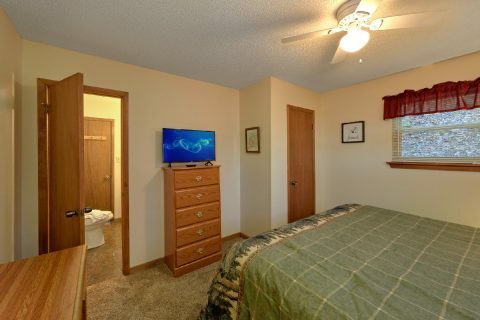 Last, but not least, your cabin comes with useful features like a washer & dryer and wireless Internet access for you to use during your stay. 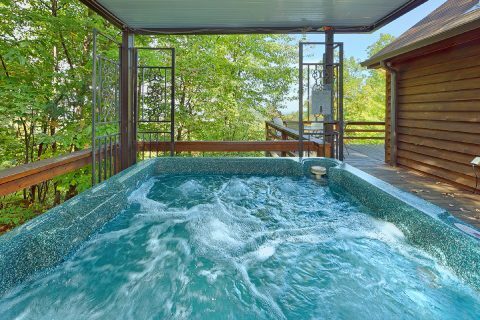 Book this cabin online today with Cabins USA Gatlinburg and you'll save 15% on your nightly rate in the Great Smoky Mountains of Tennessee!